Sting | News | Sting - BACK TO BASS - New Tour Announced! I can't wait to see the performance in Miami. I NEVER miss him when he is in town. So odd how I just commented on Facebook about my favorite memories of seeing him in concert up and down the east coast when BAM! I get an e-mail that US tour dates have been announced. Thanks for making this Monday become a great one! Can't wait to get tickets tomorrow with my Legacy Status!!!!!! À l'aube de ses soixante ans, Sting, tu nous épates encore tant de ta grande forme que de ta vie personnelle et de ton exceptionnel talent musical! J'ai bien hâte de te revoir et te souhaite une excellente année en tournée! D.
This is just wonderful news!!!!!! Cant tour the U.S. without coming to Nashville! This sounds like a reprise of the Broken Music Tour. You never brought that to the UK, so hope you get here this time! 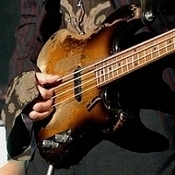 Don't forget ut in the UK - we would LOVE to see the Back to Bass tour. Please? Honeymooning in the US in November. Would love to make the Houston show a gift for my new wife. Otherwise...make sure you come to the UK!!!!! I'm so Happy, I Can't Stop Crying! YES!!!! The summer is coming to an end but here comes Sumner time!!!!! Please come to New York! yep, Sting offially drives fans insane.....especially his European ones!